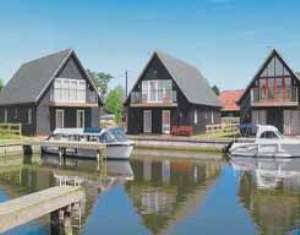 Willowmere01282 845284work Self-cateringA perfect waterside setting suitable for families. Situated alongside a private dock just off the main River Bure with its own private mooring, decked seating verandah perfect for relaxation and watching the boating activity and an ideal base to explore the famous waterways. This spacious, detached home has been designed for `upside down' living accommodation with French door to verandah overlooking the wonderful waterside setting. The attractive riverside village of Horning is just a stroll away with its shops, tea rooms, inns and restaurants. Daily boat hire and river trips can be enjoyed locally. Within a few minutes walk is the Marina Leisure Centre with indoor heated swimming pool (30ft x14ft) and guests have free use of swimming pool. The Broads are a haven for wildlife and a must for any birdwatching enthusiast. Fishing available from river banks (in season). The Bure Valley Steam Railway, runs from Wroxham to Aylsham.Bewilderwood Adventure Park 1 miles. Nearby Blickling Hall (NT) a 17th century mansion set in lovely gardens and host to music festivals. Golf and leisure facilities available at Sprowston Manor, 8 miles. Norwich, 12 miles, for excellent shopping, cathedral, castle museum, theatre, cinema indoor bowling alleys, restaurants, cafes and pubs. Norfolk's magnificent coastline within 30 minutes drive; great for exploring both the lively, traditional, resorts with activities to suit all ages, and the quiet, sandy beaches backed by dunes, many with Blue Flag award. Shops 1/2 mile, pubs 800 yards. Ground floor: Utility, 4 bedrooms - 2 double, one with en-suite shower room with toilet & basin, 1 twin, 1 bunk, bathroom with bath, shower attachment, separate shower cubicle, toilet & basin. First floor: Lounge with French doors/dining room/kitchen. Services: GFCH. Gas, power & bed linen (duvets) inc. Parking for 2 cars. T/cot. H/chair. Video. DVD player. Radio/CD player. Elec hob & oven. D/washer. F/freezer. M/wave. W/machine. T/dryer. Payphone. Decked verandah with furniture. Unfenced river, 5 yards, young children must be supervised. Non smokers only. A perfect waterside setting suitable for families. Situated alongside a private dock just off the main River Bure with its own private mooring, decked seating verandah perfect for relaxation and watching the boating activity and an ideal base to explore the famous waterways. This spacious, detached home has been designed for `upside down' living accommodation with French door to verandah overlooking the wonderful waterside setting. The attractive riverside village of Horning is just a stroll away with its shops, tea rooms, inns and restaurants. Daily boat hire and river trips can be enjoyed locally. Within a few minutes walk is the Marina Leisure Centre with indoor heated swimming pool (30ft x14ft) and guests have free use of swimming pool. The Broads are a haven for wildlife and a must for any birdwatching enthusiast. Fishing available from river banks (in season). The Bure Valley Steam Railway, runs from Wroxham to Aylsham.Bewilderwood Adventure Park 1 miles. Nearby Blickling Hall (NT) a 17th century mansion set in lovely gardens and host to music festivals. Golf and leisure facilities available at Sprowston Manor, 8 miles. Norwich, 12 miles, for excellent shopping, cathedral, castle museum, theatre, cinema indoor bowling alleys, restaurants, cafes and pubs. Norfolk's magnificent coastline within 30 minutes drive; great for exploring both the lively, traditional, resorts with activities to suit all ages, and the quiet, sandy beaches backed by dunes, many with Blue Flag award. Shops 1/2 mile, pubs 800 yards. Ground floor: Utility, 4 bedrooms - 2 double, one with en-suite shower room with toilet & basin, 1 twin, 1 bunk, bathroom with bath, shower attachment, separate shower cubicle, toilet & basin. First floor: Lounge with French doors/dining room/kitchen. Services: GFCH. Gas, power & bed linen (duvets) inc. Parking for 2 cars. T/cot. H/chair. Video. DVD player. Radio/CD player. Elec hob & oven. D/washer. F/freezer. M/wave. W/machine. T/dryer. Payphone. Decked verandah with furniture. Unfenced river, 5 yards, young children must be supervised. Non smokers only.